My first WL suit, an old Adidas Atenus, was basically disintegrating everywhere except the reinforced thigh panels. I noticed that a store in Germany, SportSpar, was selling the 2016 Leistung suits for 35 EUR (approx 40 USD). 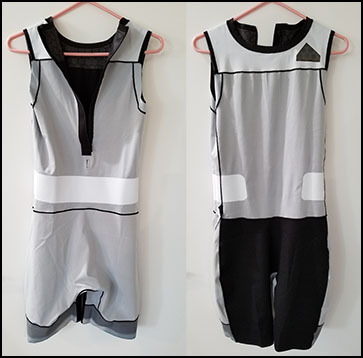 Men's sizes only, though they do seem to have a number of women's Climalite suits for ~21 USD. The company ships internationally for ~13 EUR (~15 USD) for a single item, + 2 EUR each additional item. Free shipping within Germany for orders over 50 EUR. I was pretty skeptical at first, but since I was visiting Germany for a few days I figured I'd take a chance and try to have them delivered to my hotel. Service was super fast -- I ordered on a Friday and they were delivered to the hotel the following Monday. I ordered 2 mediums and a large. I'm ~5'8" 78kg at the moment. Large was definitely too big and the suits seem to be cut fairy long in the thighs, even with the medium size. 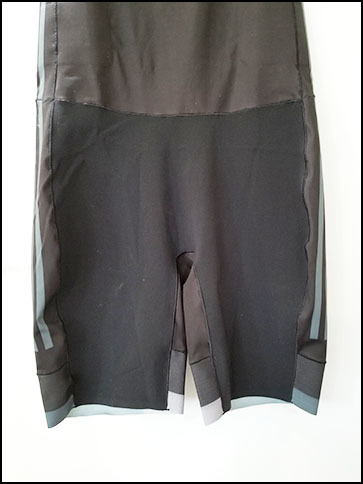 The entire bottom-front is reinforced fabric. Seems similar to the kind on my Atenus, which is nice. If you notice though, there are no seams; it's one large, continuous piece. It doesn't feel uncomfortable, but visually the fabric tends to fold/bunch-up oddly. Rather than post photos of my crotch with the suit on, you'll just have to take my word on this. This is my first zippered suit, so it is taking some getting used to. 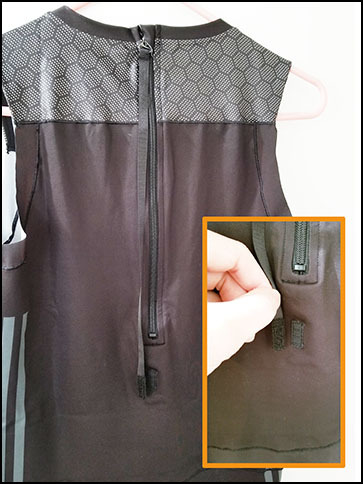 I can zip up without help since there is a long string attached to the zipper. There's also a tiny piece of velcro on the back of the suit you can attach the string to so it doesn't flop around everywhere while lifting. Turning the suit inside out, that white band around the waist is a strip of compressive fabric. I honestly don't feel it that much with the suit on -- maybe a little? What it definitely does do is give my lovehandle fat a slight muffin top and remind me how out of shape I am at the moment. The gray bands at the bottom of the legs is a rubbery/grippy material. Overall, quality seems quite good. The suit has a light compression overall but doesn't impede getting into the proper lifting positions. There are minor nitpicks I've mentioned above, but since they were a fraction of the original MSRP (180 EUR), I can't really complain. Of course it won't add kilos to my total, but I do like to train in a suit fairly frequently and having the reinforced thigh material is nice to have. Also easy to wash and quick to dry, if you're into that sort of stuff. 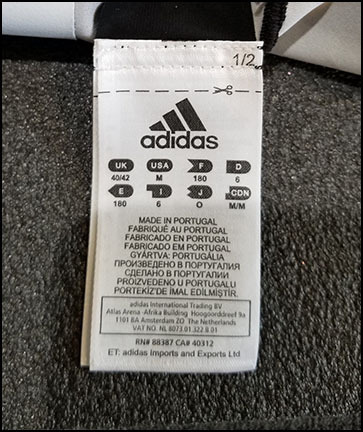 Made in Portugal, btw. About SportSpar, they are most certainly legit and I rate them highly. Very responsive customer support via email, super fast shipping, and processed my return of the large suit quickly as well. Based on my experience, I wouldn't hesitate to order from them again. P.S. They also have an eBay shop, but the prices are a bit higher there. Also, if you buy directly from the SportSpar site, you can get a 5 EUR discount coupon for orders over 60 EUR, though do be mindful if your credit card charges a foreign transaction fee.